A Very Real Monster For 82,500 of Scotland’s most vulnerable Families! In the 2011 – 2012 financial year the welfare system cost government a total of £160.2 billion. No surprises then that ministers decided a welfare reform bill was needed to try and cut these costs. A fair enough idea if properly implemented in a way that is fair to all concerned, because, as we all know, there are flaws in the system! 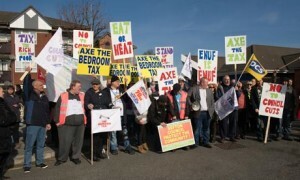 The result was the Welfare Reform Act 2012 enacted by the Parliament of the United Kingdom on the 8th of March 2012. It is not quite fully in force yet as it was decided to introduce the new legislation in stages. Most of these reforms seem to me, to be fair enough and should serve in some capacity to achieve the initial goal of reducing the government’s annual benefits spend. That said although the entire bill will not be fully implemented until the end of 2015, there is already one element which stands out as perhaps not being the best thought out plan! The Under-occupancy Penalty, commonly known as the bedroom tax is a typical conservative policy of attacking the working class. Find the extra cash; either from their already tight budget or by borrowing from friends and family. Move to a smaller house possibly even another community. Do not pay and risk eviction. This means for a lot of people the only choice is the latter as they cannot afford to move home, take the money from their family budget or pay back any borrowed cash. Thus, as a result people are caused a lot of worry and sleepless nights amid threats of eviction for non payers. And to make matters worse, for the estimated 78,000 tenants who would benefit from moving to a one bedroom house, there are only approximately 20,000 homes available for rent… Now that took brains. Whats worse again is there are reports showing many disabled people, who have use for the extra rooms such as storage of equipment or other uses related to specific disabilities are also being threatened with eviction if they don’t pay up or move. Is the plan to evict enough people on benefits to live on the streets, freeing up housing stock for those who can afford it? It seems wrong to me and most certainly not a fair policy in the modern world we live in today, welfare is meant to help the people who need it, not make them worse off. The Scottish people seem to agree as a number of rallies and demonstrations against the policy have shown. Something needs to be done and soon, to rid us of this “snidey wee tax” as it was very aptly described to me yesterday. 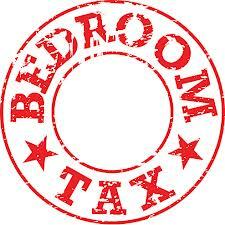 You can help by signing up to Shelter Scotland’s initiative against the bedroom tax monster by clicking here. Also by voting in our poll and leaving comments of your experiences of the “bedroom tax”by clicking here we will forward all our findings to Shelter Scotland. TOGETHER WE CAN BANISH THE BEDROOM MONSTER! This entry was posted in Uncategorized by my voice. Bookmark the permalink.